How to record a song? This is one of the most common questions I get asked…. And it is not something new! One of my most treasured possessions is an old 78 rpm vinyl recording of my father singing ‘Bless This House’ made when he was an 11 year old chorister. It only exists because his parents went to some considerable expense and trouble to get it made. The technical difficulty back then was quite considerable, and if you wanted to find out how to record a song you had to go along to a specialist studio and put yourself (and your hard earned money) in their hands. But I am so glad they took the time and trouble to create this unique keepsake. 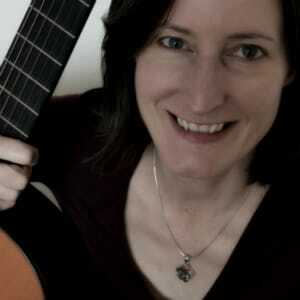 A client I spoke to recently is an acoustic guitarist and singer. It turns out that over the years he has written a number of songs for guitar and voice, and he was keen to learn how to record a song ‘for posterity’ for his grandchildren. He only had a small budget and not much technical knowledge of how to record a song. The obvious solution for him was a USB condenser microphone. I explained to him how easy it is to simply set the microphone up on the stand provided, plug the mic into the USB port of your computer and then the mic is ready to record with great results almost instantly. Many USB mics come with free recording software, but for simplicity I recommend starting out with Audacity. It is completely free, extremely easy to set up and use and I love their informative site. There are plenty of tutorials, tips and tricks so you can get great recording results really quickly and there are several articles on how to record a song very easily. Why should getting to grips with complicated software be a barrier when there are simple (and free) solutions out there? So if you want to know how to record a song on a very tight budget it is as simple as 1-2-3. 1. Acquire a decent USB microphone. For acoustic instruments and voice go for a condenser mic, which with a good frequency response to capture all the nuances of your singing and playing. If you want to record over backing tracks then look for one with a headphone output so you can listen to the track and overdub at the same time. 2. Download Audacity. It’s free and very simple! 3. Set it up the mic, plug it into your USB port and you are all ready to record. Once you have a good set of songs recorded and edited, they can be easily exported from Audacity in standard *.wav format. That is a universal format for an audio file. It is then just a case of burning these files onto CD, which is easily done within Windows. The other option is to create your own MP3 files which is very simple too. Again there are full instructions and tutorials about downloading the Lame Encoder and creating MP3 files with Audacity on their excellent site. The customer’s idea was that by learning how to record a song, he would be able to save them forever for his grandchildren to listen to when they grew up. He said he was sure the idea might irritate everyone now, but one day they might be very glad he had taken the trouble! I think he is right if they treasure his recordings half as much as I do my father’s.